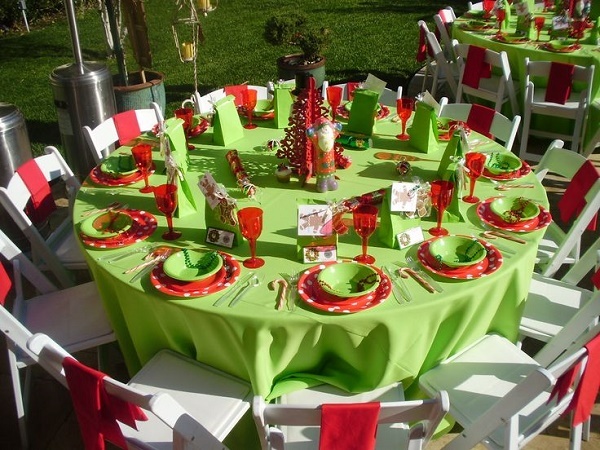 Everyone’s been very busy preparing for their Christmas parties with their families, at work, in the neighborhood, church communities and even their batch reunion gatherings during holiday season. 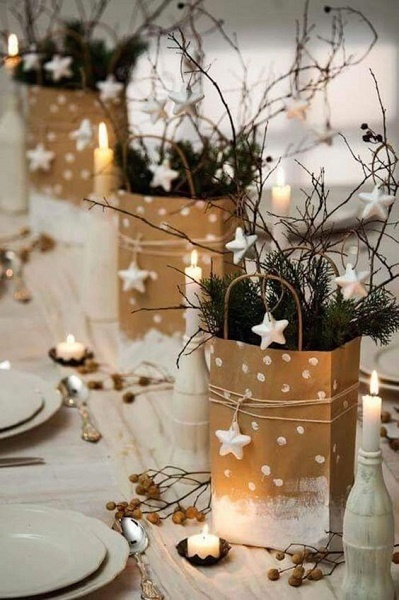 While some have been looking forward to shopping for a dress-to-kill during their event, the party hosts or Christmas party decoration committee aims to make the party venue entertaining, attractive and creative! 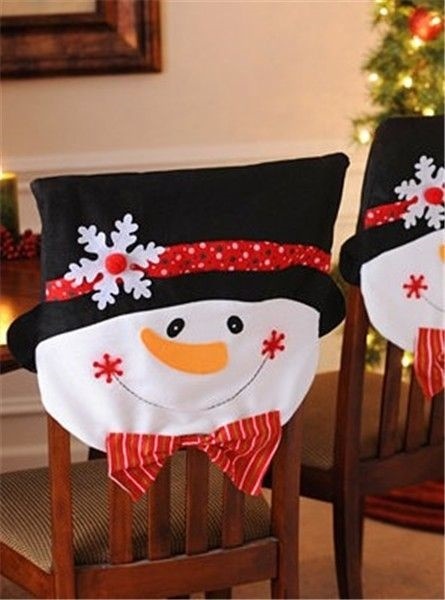 So this collection is dedicated to those who are in-charged to decoration the venue with amazing Christmas decorations! You really should be thankful that Pinterest and Google are very helpful in times like this. These 2 sources never failed to provide me stuffs closest to what I actually need. 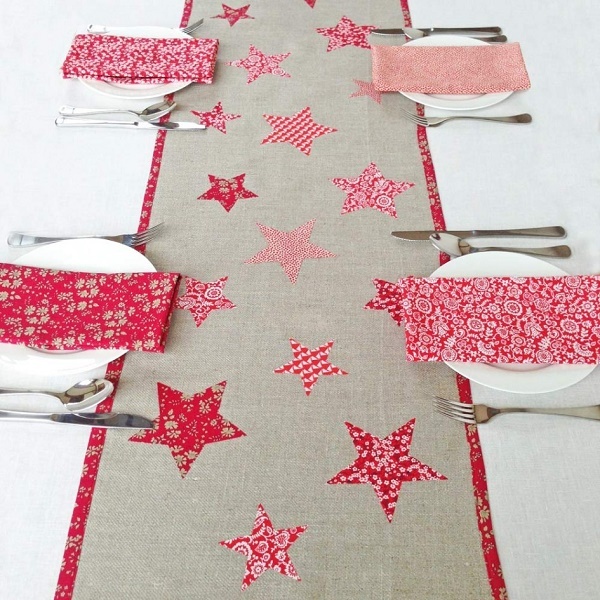 You will be glad to know that most of these ideas below are DIY Christmas Party Decorations that are very unique and easy-to-do. First of all, you have to come up with a fixed theme. 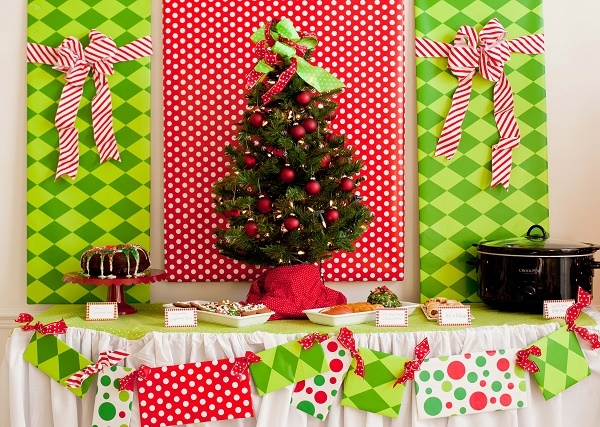 Would you want the traditional red and green Christmas? 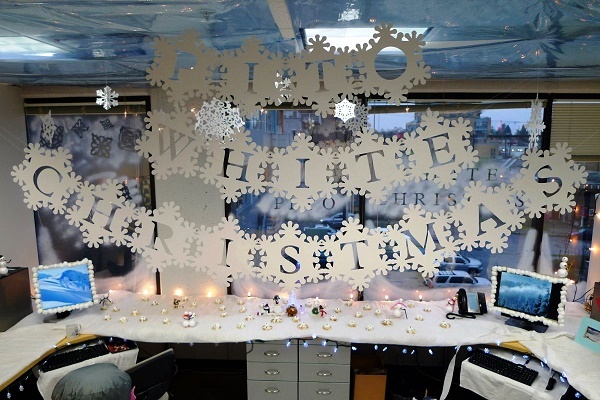 White winter Christmas is also very cool for the holiday season. 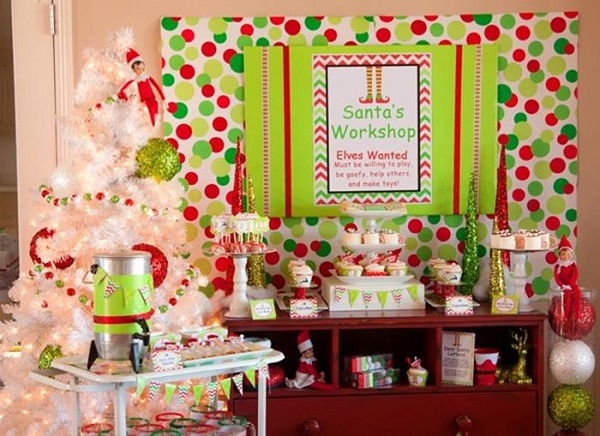 Some would want a theme that’s associated with Christmas like Santa Clause party, Snowman party, Peppermint party, Gingerbread party, Frozen party for the millennials and many more! It sure is exciting so let’s get the party started! Make sure to make the entrance really inviting! 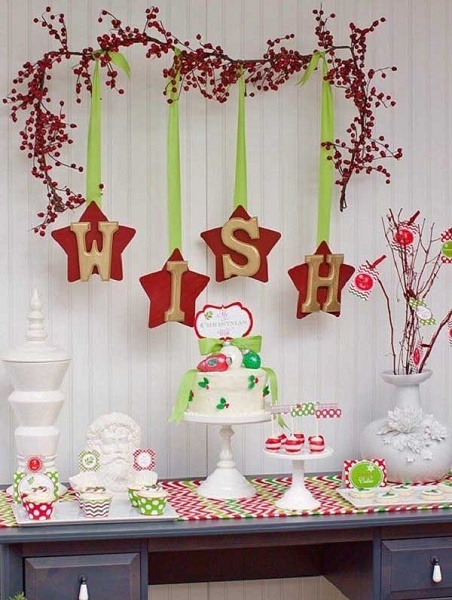 What the guests see from the outside gives them a hint of what is expected inside. First impression lasts, remember guys! 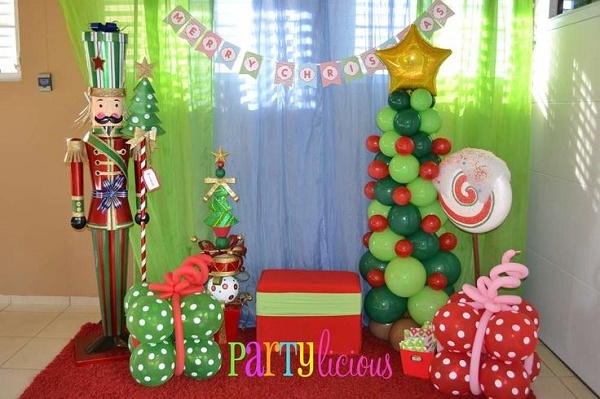 See to it that the entrance of your party venue wows everyone and that would warm them up for a fun-filled Christmas gathering! 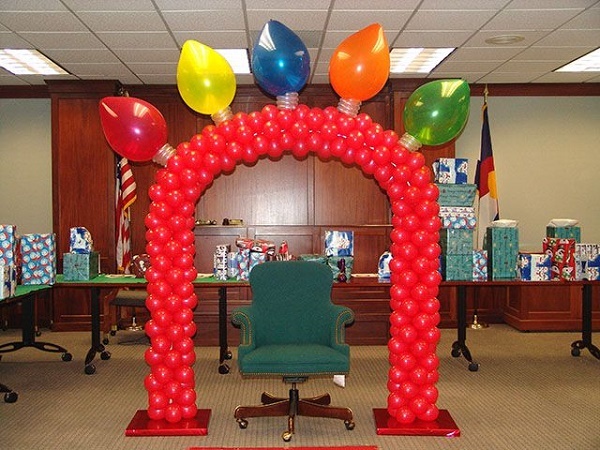 Who would want to miss attending a party with balloon decorations like these? Noooo not me! Count me in! 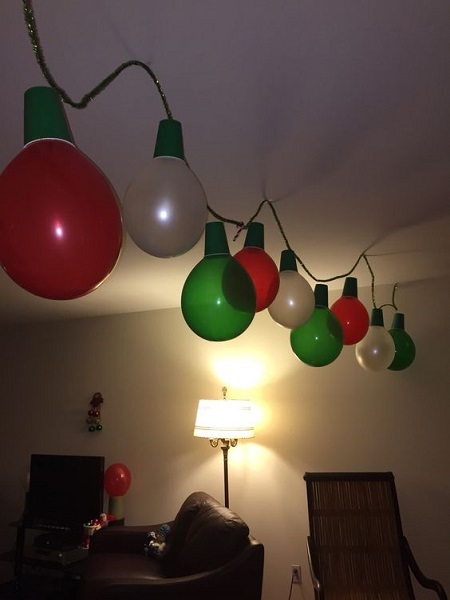 This Christmas light balloon is really great. 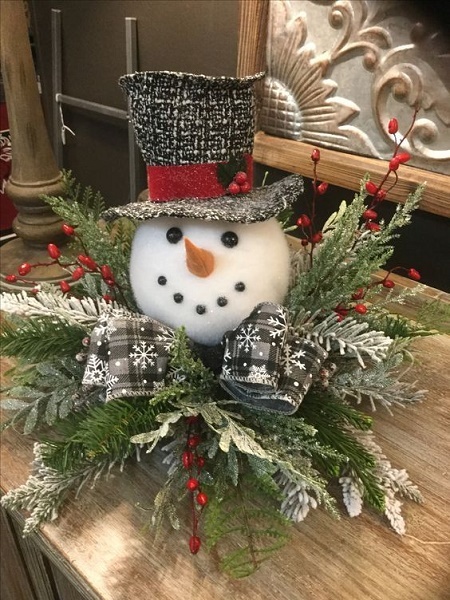 I would sure want to have a selfie with this decoration. 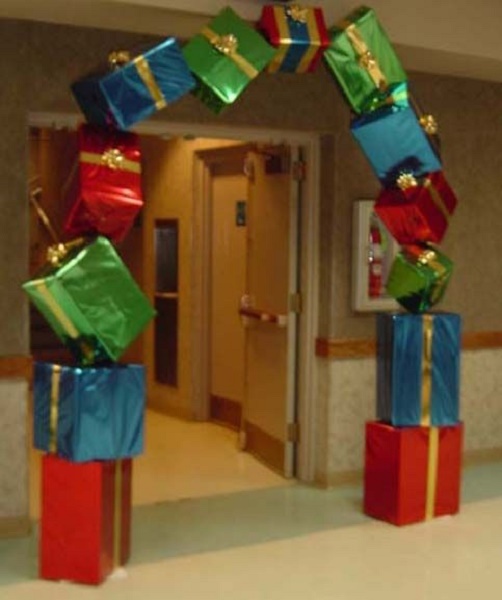 Arc of Christmas gifts on the entrance! 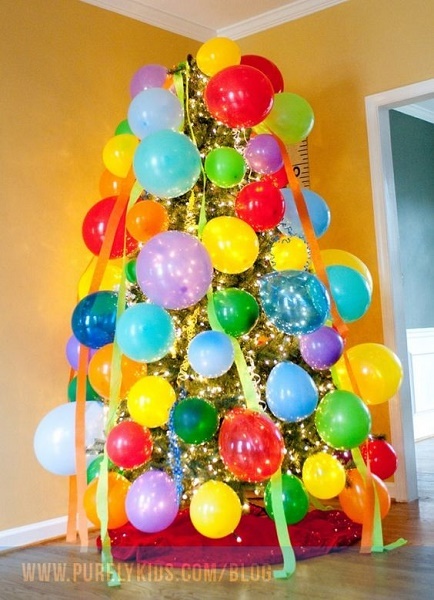 This is another Christmas tree with a twist, especially when someone’s celebrating his or her birthday. 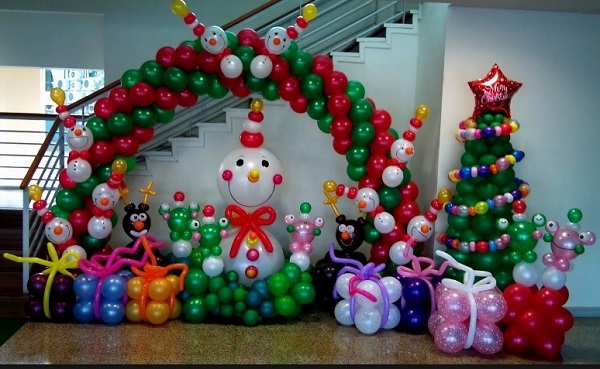 Ever imagine balloons turned into ornaments? 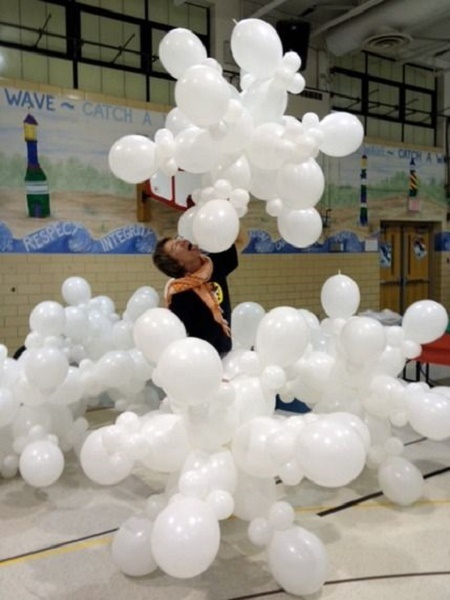 I do hope they won’t pop too soon! 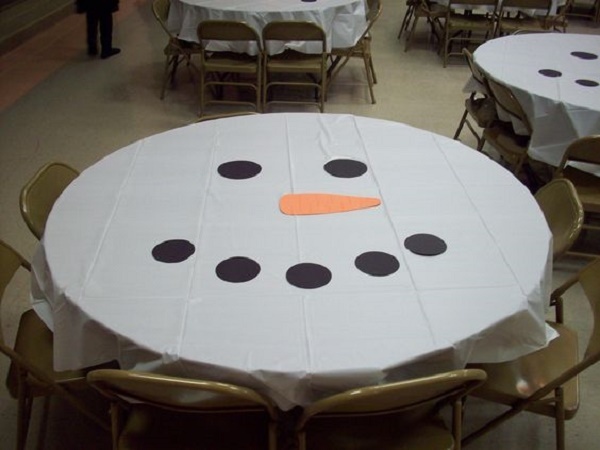 Any snowman, whether it’s Frosty the Snowman or Olaf from Frozen the movie will sure be enough to entertain the kids in the party. But honestly, even grown ups would wait for their turn to have photo with this cool Christmas favorite. 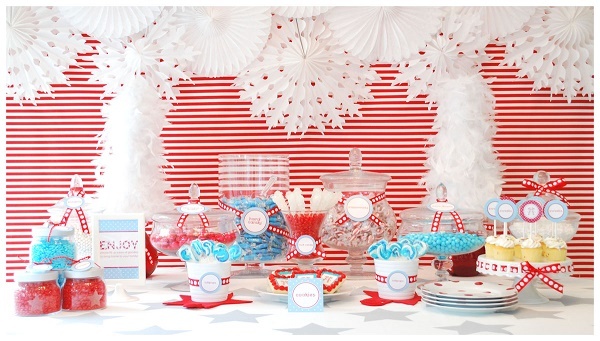 This could pass as table centerpiece for parties! 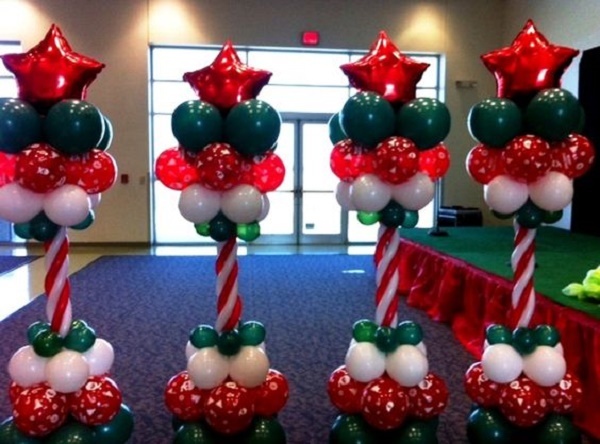 Christmas balloon towers are nice way to decorate each corner of the venue. 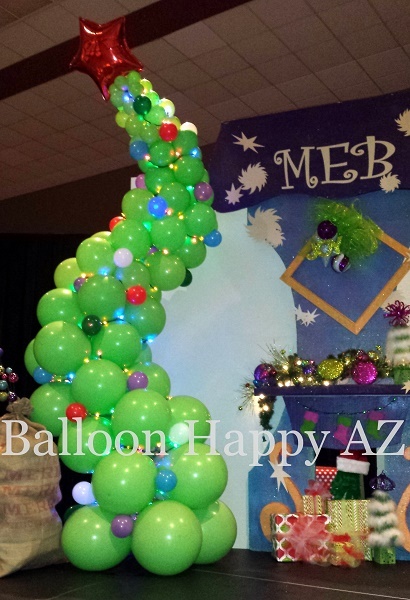 A Christmas tree balloon with balloon gift designs. Oh how lovely! 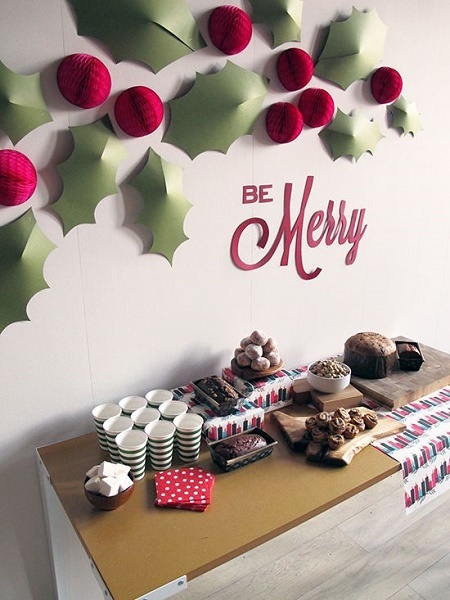 One of the easiest diy Christmas decoration idea in this collection and I’m gonna do this at our office! 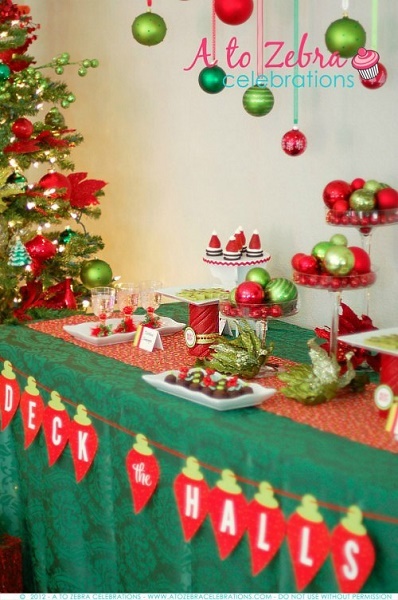 Whether the party venue has a stage or you’re having the event at home, always find a place to consider as the center of the area and sometimes the buffet table is where the decorations are set-up (Christmas wall decorations) . 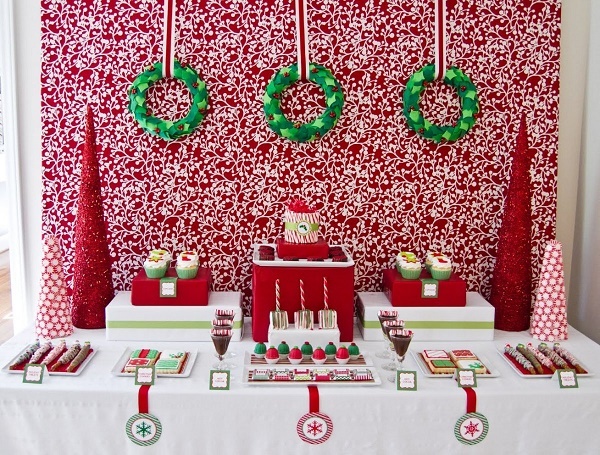 So, here are really cute Christmas Backdrop ideas for you to consider! It is always where the picture taking takes place! 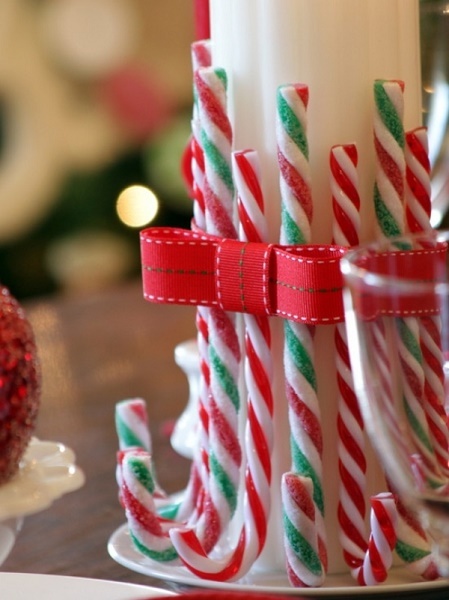 This is one easy DIY Christmas decoration with piles of paper cones that was turned into tiny Christmas trees. 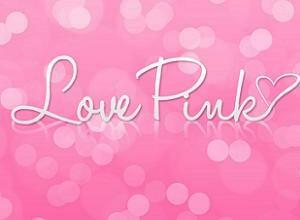 Don’t forget bows could add up to its perfection! 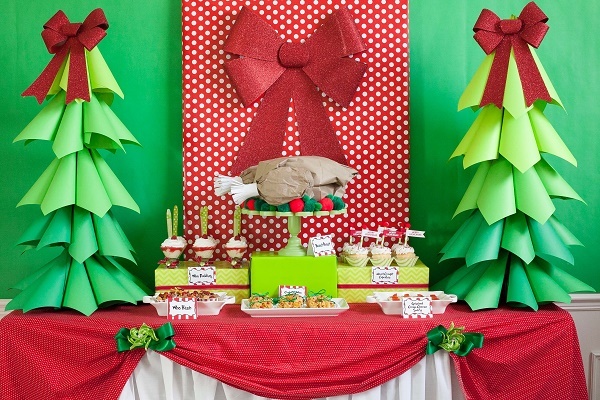 A little tree can do so much wonders for a Christmas gathering! 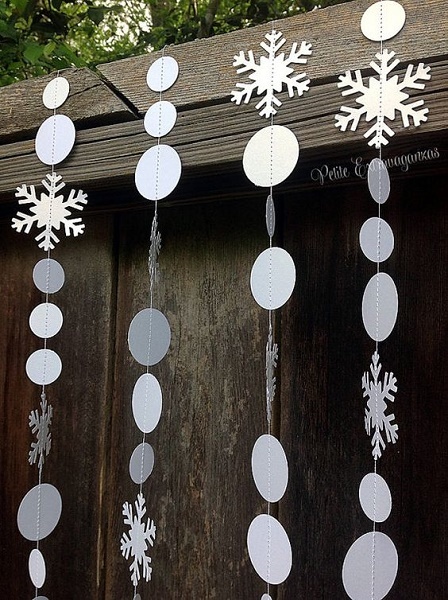 Consider this white Christmas party decoration that is loaded with snow and snowflakes…. 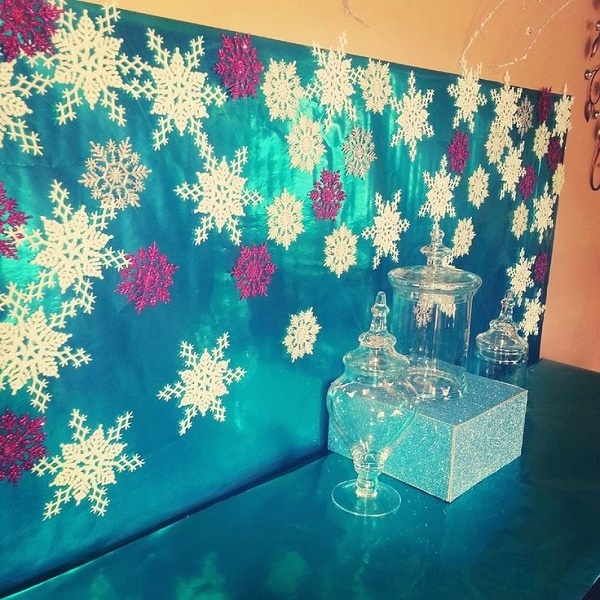 or for those who haven’t moved on from Frozen yet, it’s like a winter theme but with the blue and purple representing Elsa and Anna’s color in the movie. With one look, kids can surely tell! 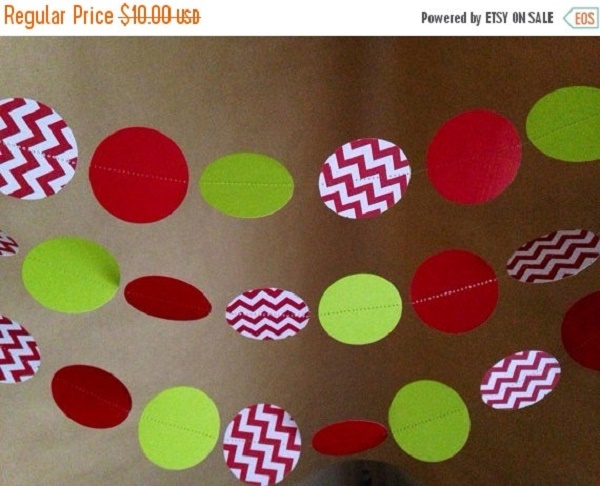 Look at these DIY Christmas backdrop, with the use of papers with different patterns. 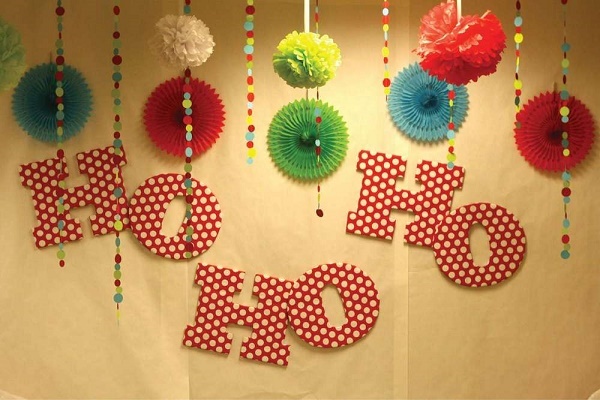 I am going to do this to our Sunday school classroom. 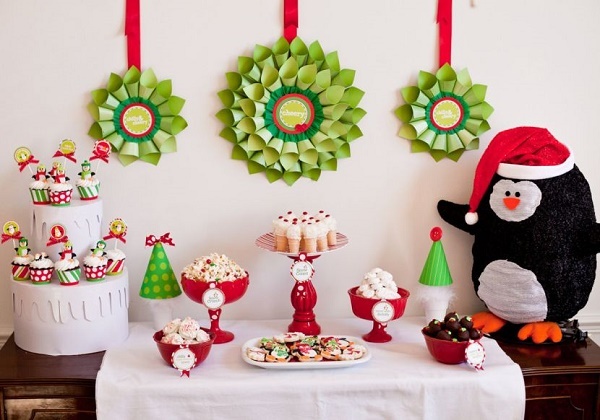 Christmas Penguin decorations are attractive especially for the children. I can assure you that! This looks very magical! 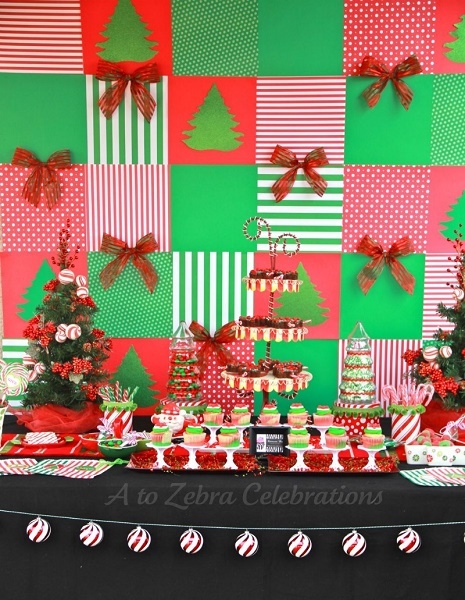 Looks good for a birthday party during Christmas season. 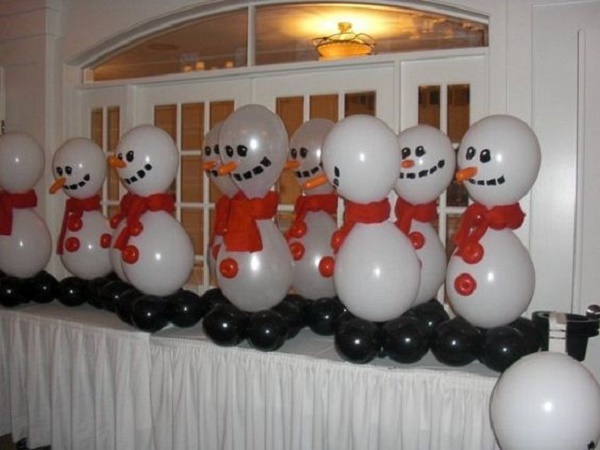 Snowman is actually my favorite, more than Santa Claus. 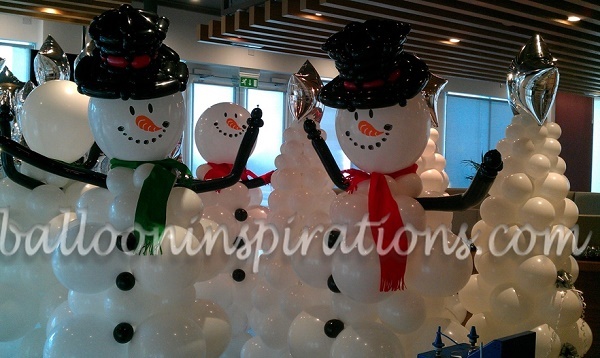 The very reason why I never missed to include Snowman in most of my Christmas collections! 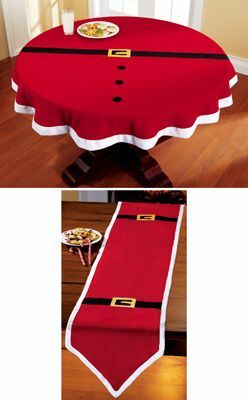 For a formal Christmas party, these formal table centerpiece would be an option. 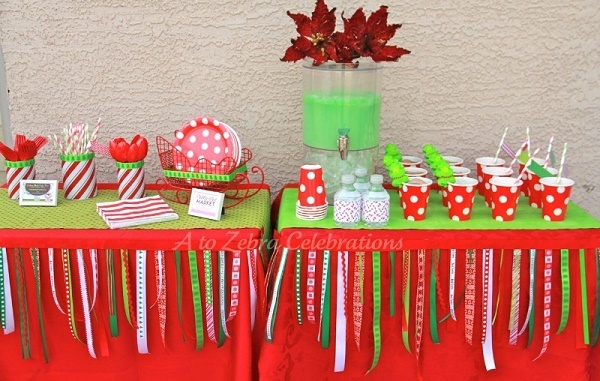 More Christmas party decoration ideas! 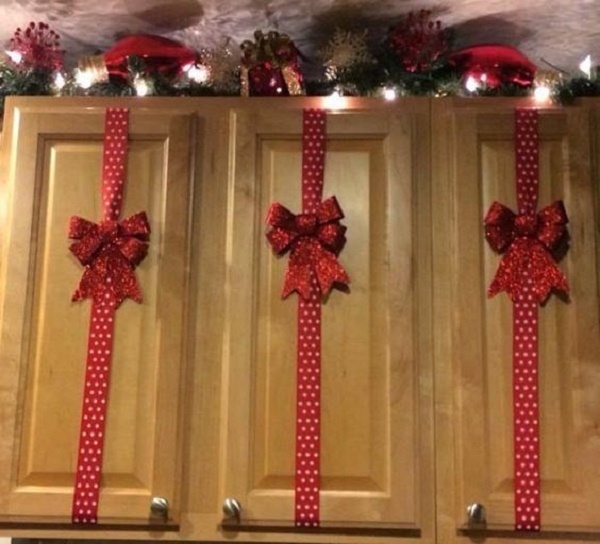 Turn your kitchen cabinets into instant Christmas gifts! DIY Snowman . 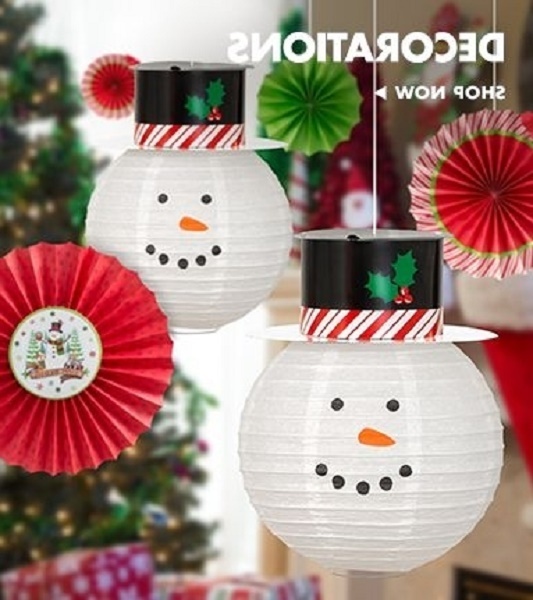 This is very easy, just buy a white paper lanter then cut those eyes, dots of mouth and orange nose. You’re done! 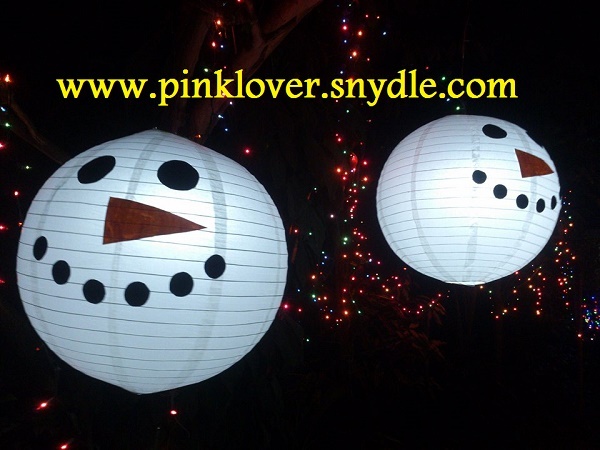 And oh, I just did a DIY Snowman lantern few days ago that would be perfect for outdoor parties! 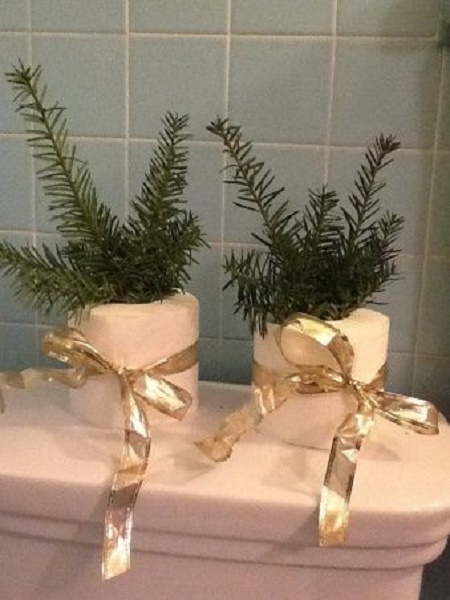 What to do with tissue? 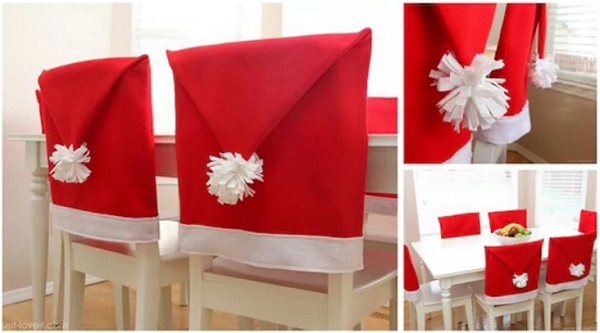 Oh this is clever! These are actually just very few, and there’s more! Make sure to follow our updates since I’m posting my favorite Christmas games for kids, Christmas games for adults, Christmas group games in my next collection. I’m sure you’re going to have so much fun since I have videos for some of the games.